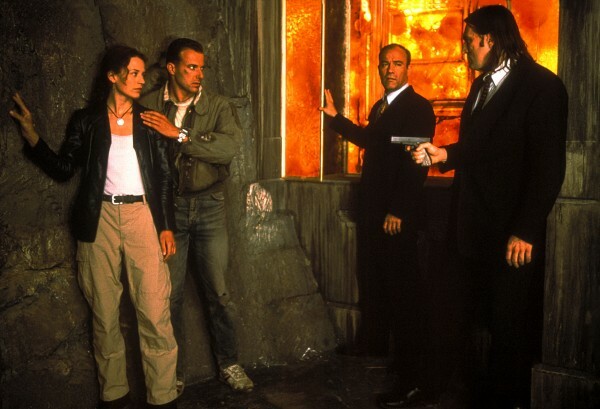 The aim of the project is to produce a sequel of the 1998 action film “Cascadeur”, about an adventurous search for a hidden treasure in South America, starring Heiner Lauterbach and Regula Grauwiller. Nobody quite knows what the new film will be like, whether it will be a remake or a sequel because according to the crowdsourcing principle everyone can get involved. From the film script, to cutting and synchronization: anyone who is able to understand German can register as a Cascadeur and contribute their work; either at their home PC or in one of the “Cascadeur Community Camps” where things are discussed, planned and shaped. To ensure that too many creative cooks don’t spoil the film, at the end of the day it will be the experts who pull the strings. Producer Jimmy Gerum and director Hardy Martins who brought the first Cascadeur on the screen in the 1990s are now responsible for this unusual crowd venture. “Of course the democratic process is a risk but we believe that we can bundle visions and ideas. And yes, we will have to give the ‘amateur geniuses’ some instruction” said Gerum in an interview with the Merkur newspaper in Munich. But first of all, the fantasy of the fans is unlimited and even if they don’t have any previous film experience they can still contribute to the final product: “Someone could spray a graffiti for a film scene or let their pet appear as an extra”, suggests Gerum. The exact schedule of this type of project is uncertain, and when the film will finally reach the movie theaters or television screen is still written in the stars. However it is certain that the development process will take several years as in any other film. Dieser Artikel wurde am 11.September 2012 von tina geschrieben. Hallo, Ich bin Roberto, Ich bin aus Bolivien, Ich liebe Filme und Ich will im dieses project werken, ich kenne ein bischen uber Skripte und ich arbeite als ein Graphic Designer mit After Effects, Premier, Photoshop und Illustrator, Ich wohne in Colombia jetzt, sagt mir in was kann ich hilfe, grusse! A fun venture. This film also eventful! What an action. Franckly I cannot image me hanging fly on the tail of a plan. Fine joke!